As our parishioner, we are pleased to give you a free subscription to formed.org. Entertaining movies, enlightening programs, inspiring talks, and a great selection of popular eBooks—an incredible online gateway to the best Catholic content – all in one place! 807 3rd S. 3rd St.
***There will be no daily Mass on Tuesday, April 23 or Friday, April 26. 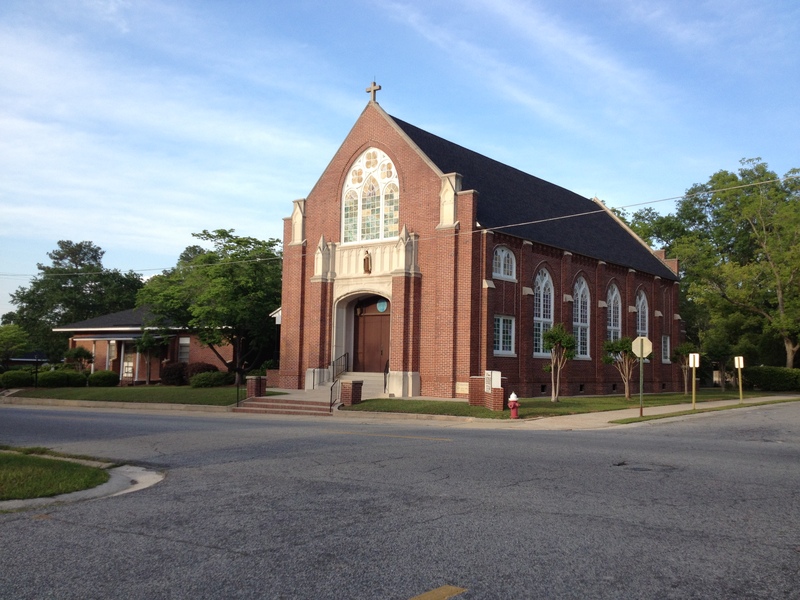 We are a warm, vibrant Roman Catholic Church located in Cordele, GA as part of the Diocese of Savannah. Our parish represents a rich diversity of cultural, ethnic and economic backgrounds. Though we are small, we are a friendly, welcoming community. We are dedicated to witnessing our faith through worship, education, evangelization and nurturing our faith family through parish life and Christian service. Our motto is that of our patroness, St. Theresa of Lisieux: “to do little things with great love.” We invite you to join us for Mass! We will have our annual Easter Egg Hunt on Easter Morning at 11:00am between the Easter Masses.